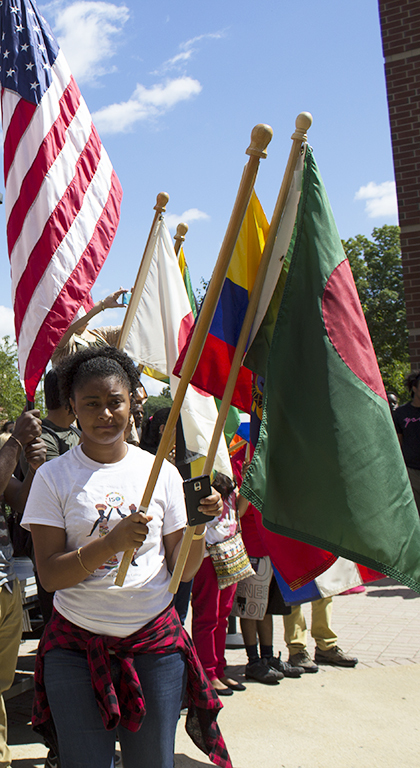 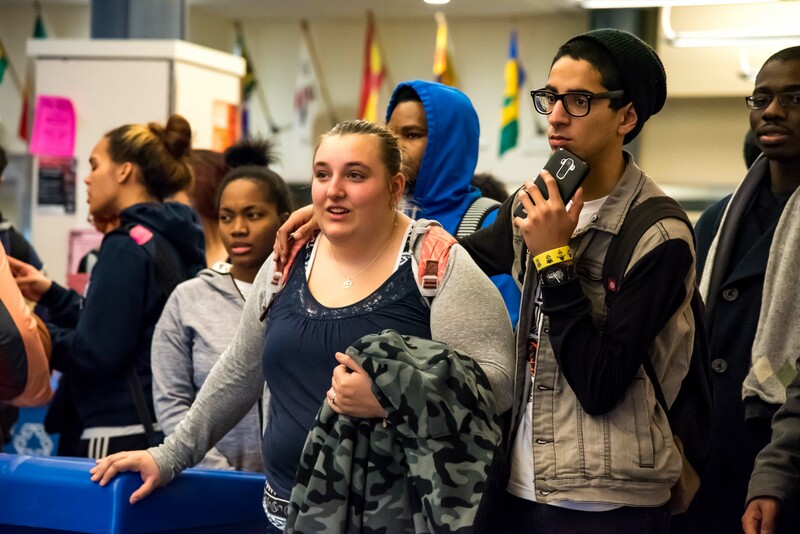 that over 1,500 students attended as well having 62 clubs/organizations participating. 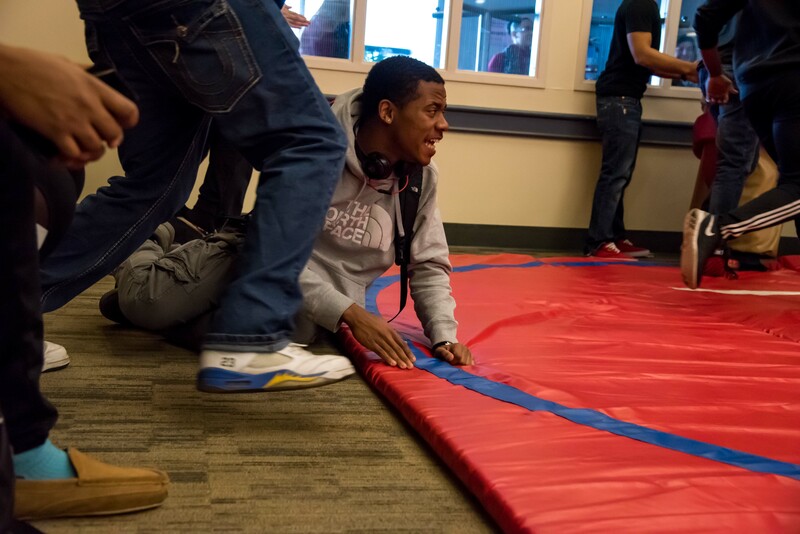 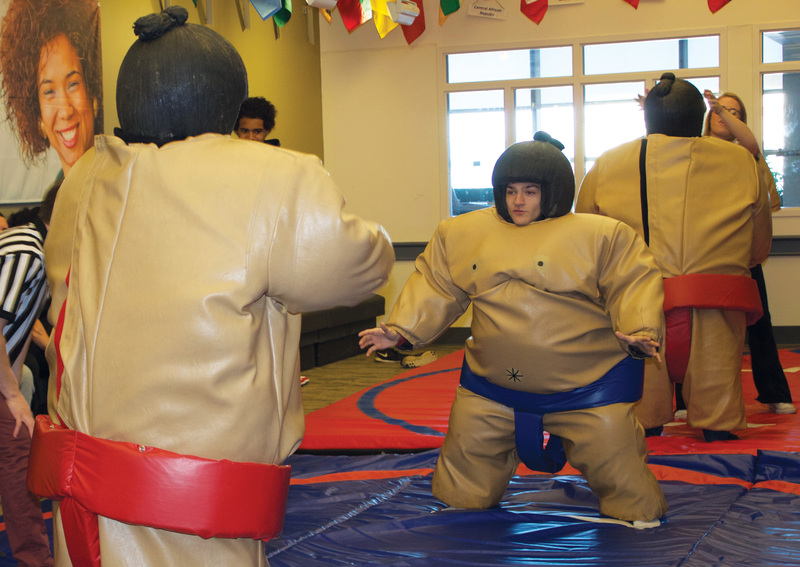 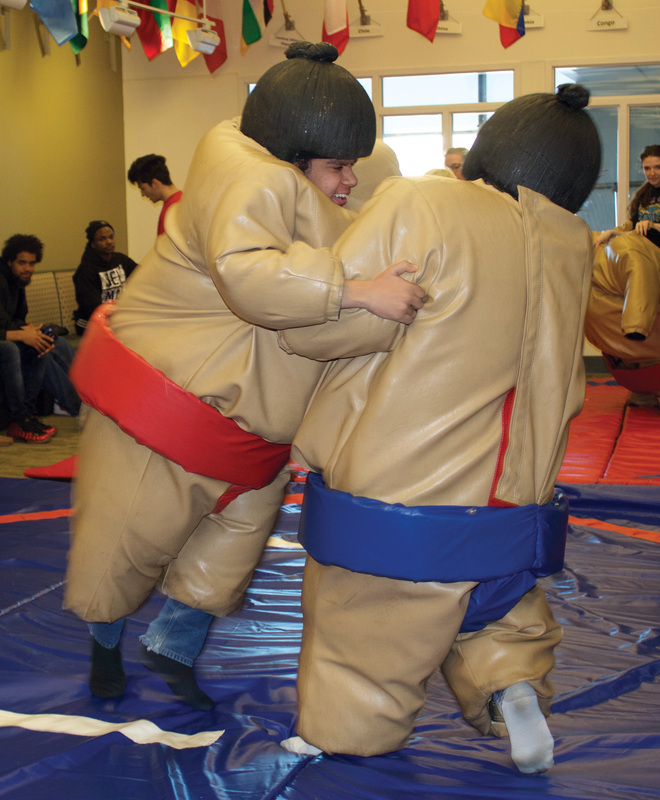 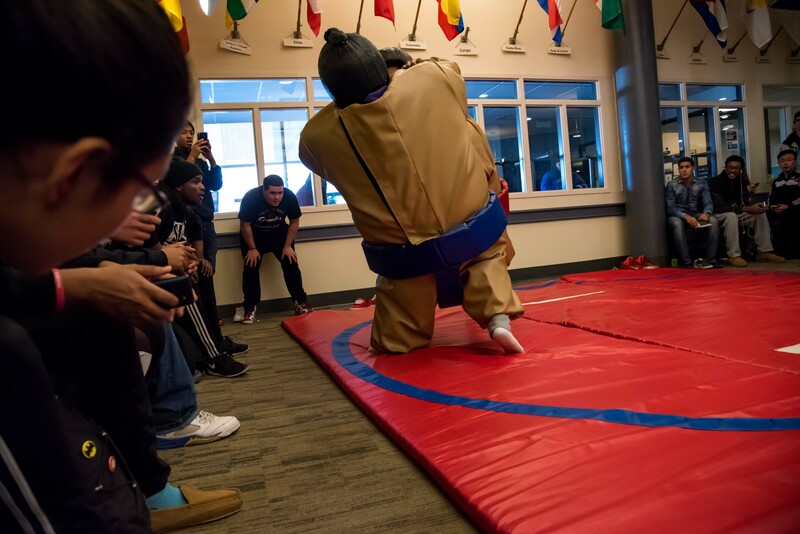 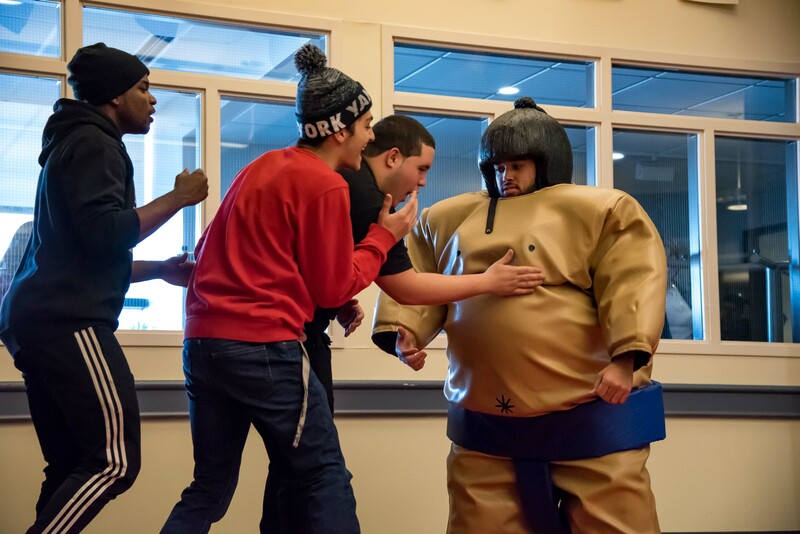 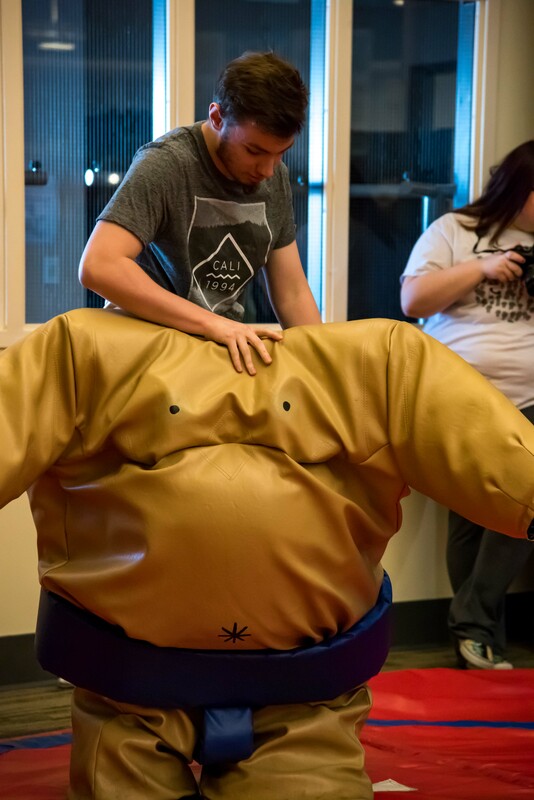 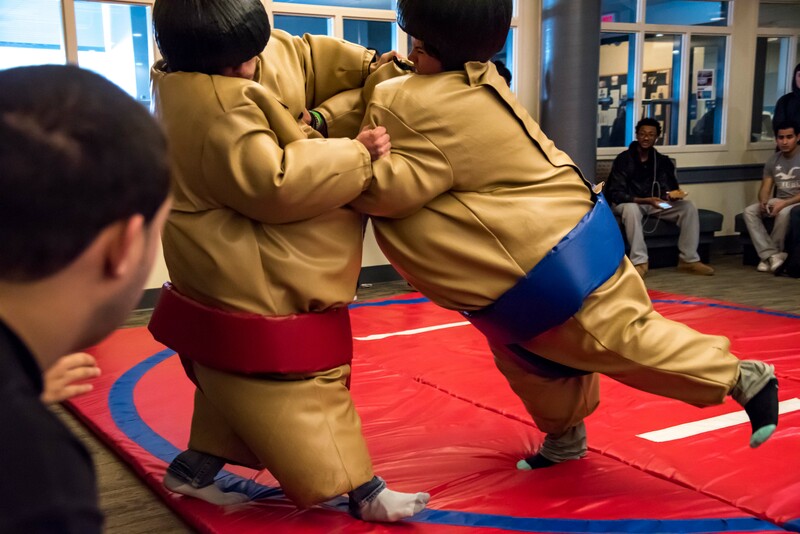 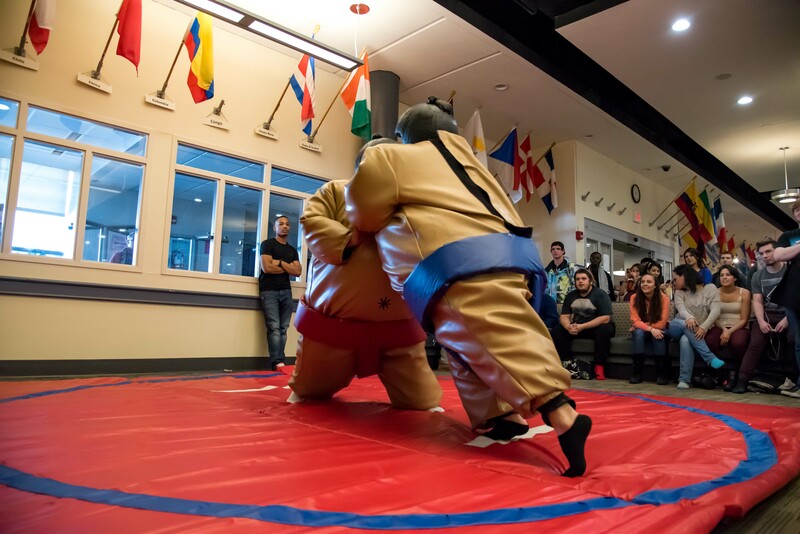 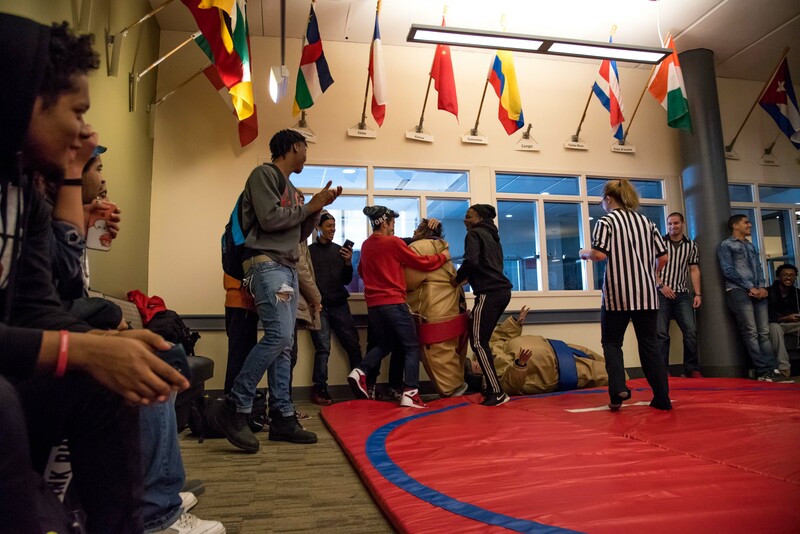 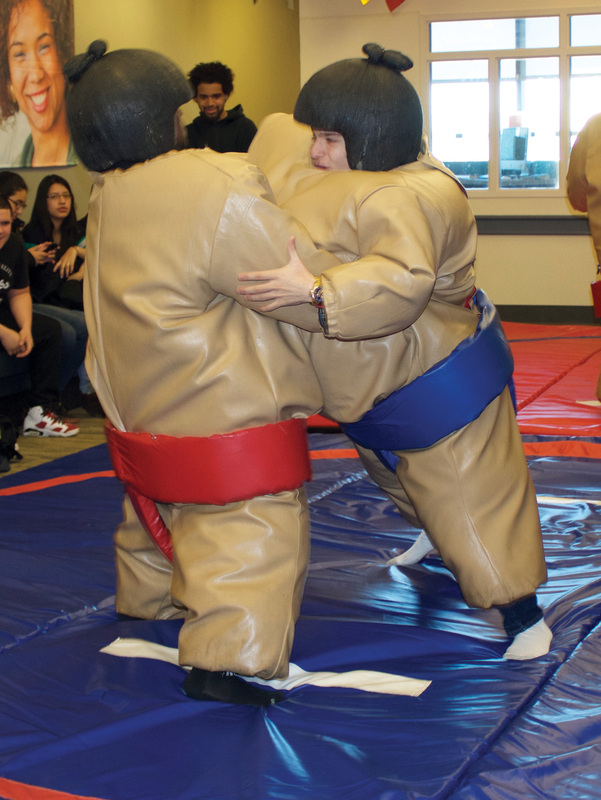 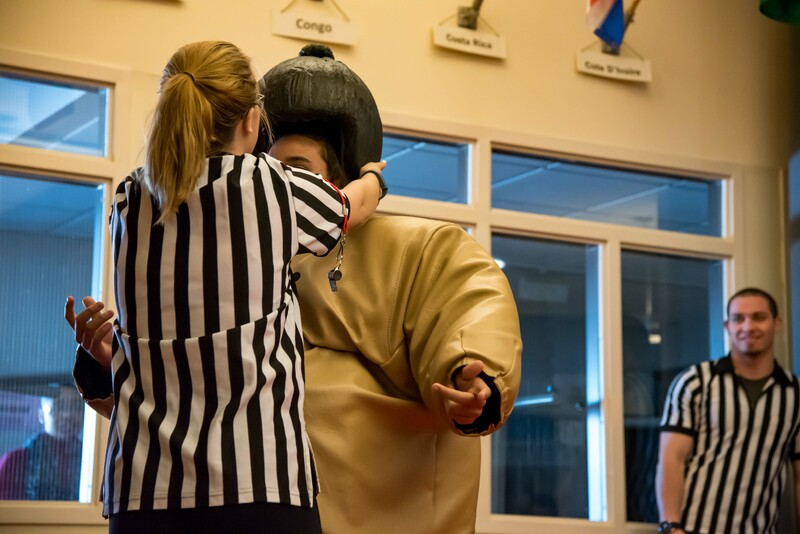 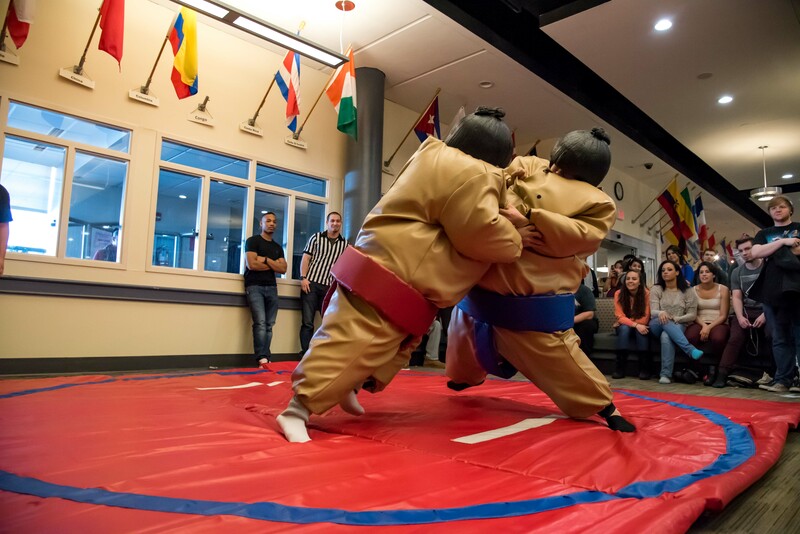 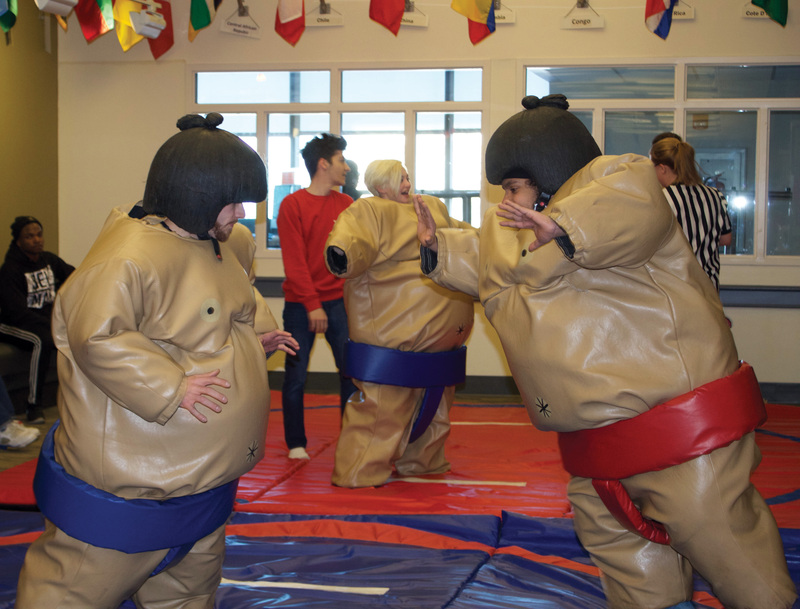 The students could participate in a rice ball-eating contest, sumo wrestling, and were also provided with free food. 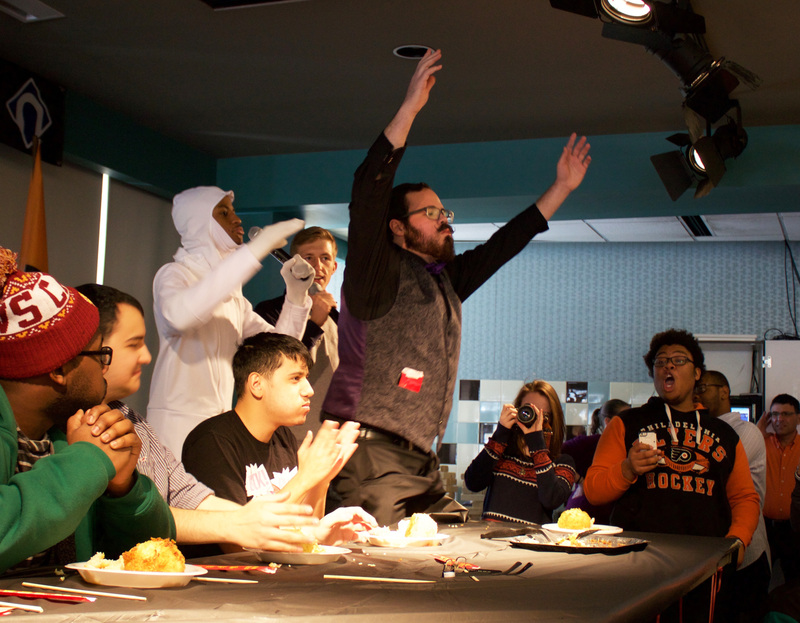 There was also a debate conducted by Student Senate on the topic of legalizing marijuana. 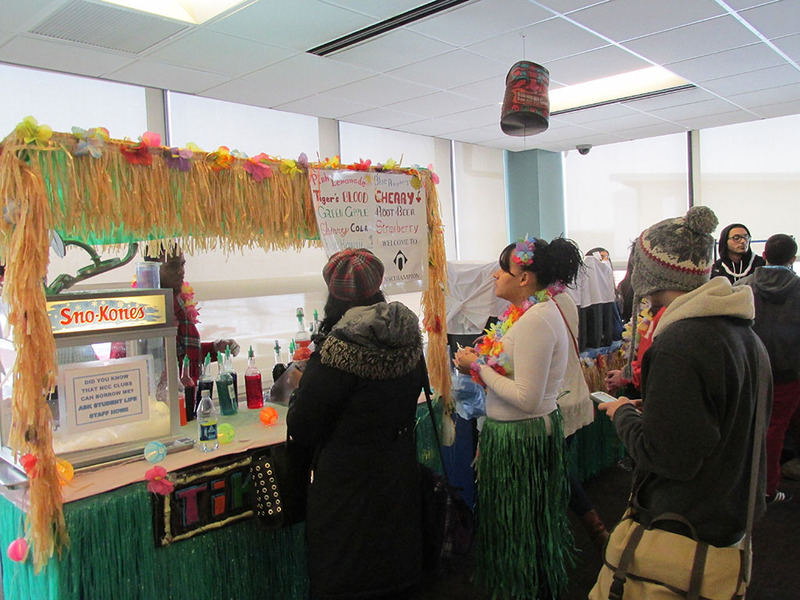 Sigma Phi Sigma, the Funeral Services Club, were awarded the $100 prize for having the best representation of their club. 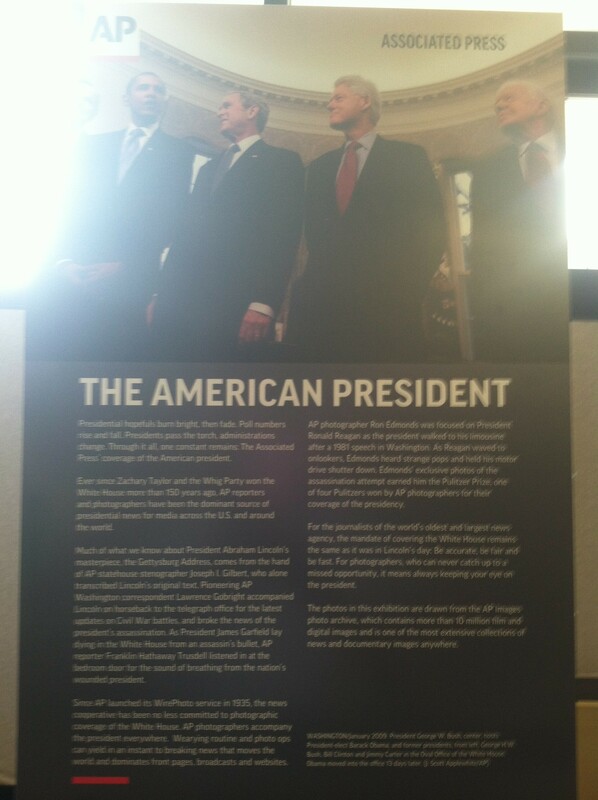 Their table had a coffin and the members were all dressed in suits. 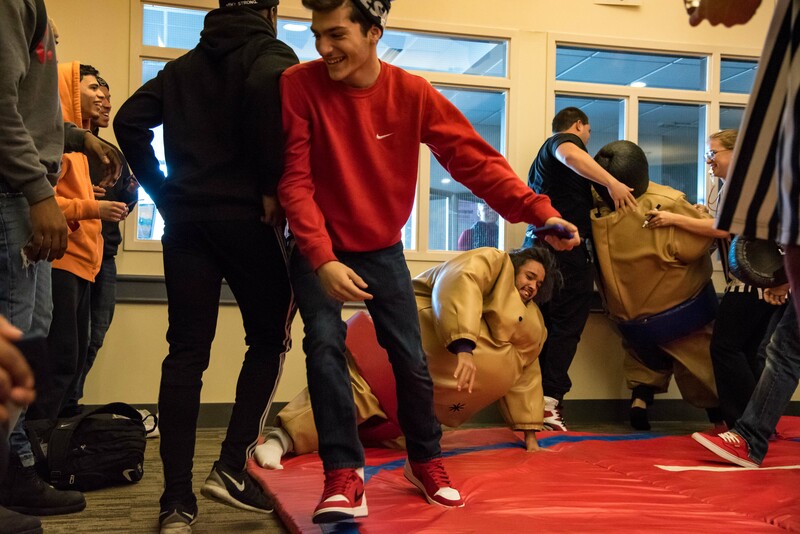 The goal of Spartan Fest was to give students a chance to sign up for clubs as well as getting acquainted with the members. 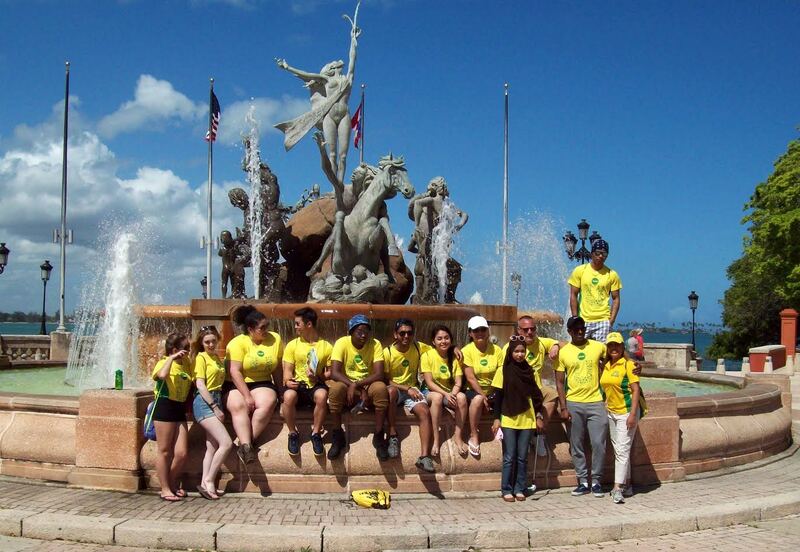 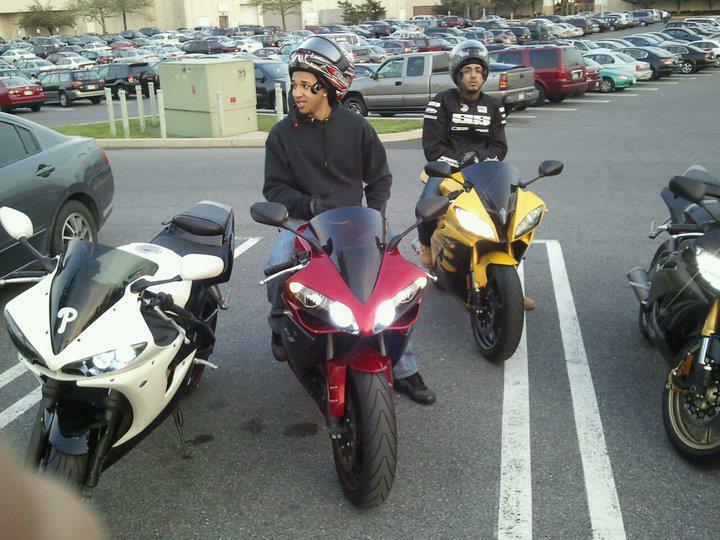 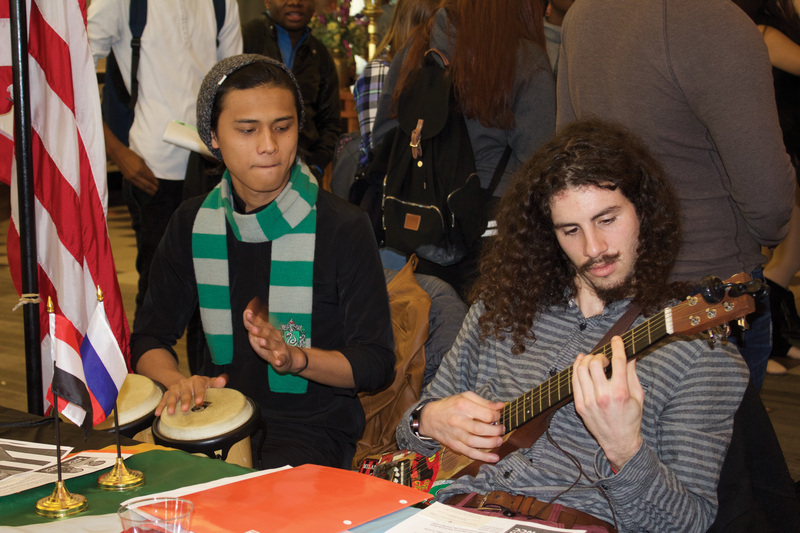 One success story from Spartan Fest is the Muslim Student Association (MSA). 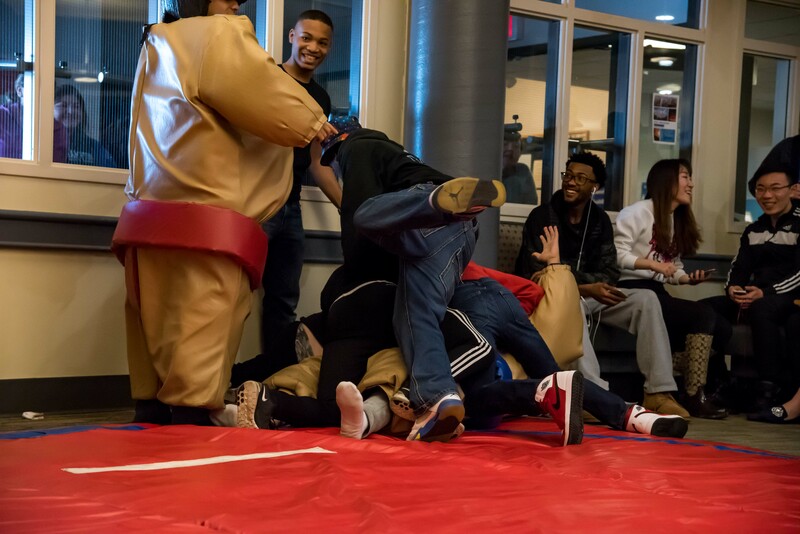 Annisa Amatul Muqtadir, the student leader of the MSA, said that they gained 17 signatures of potential members. 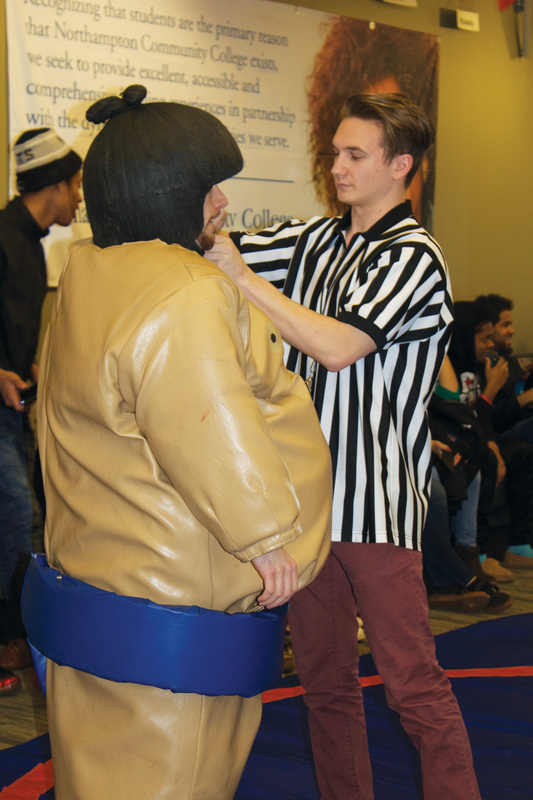 Sigma Phi Sigma (Funeral Service Club) won for best club representation. 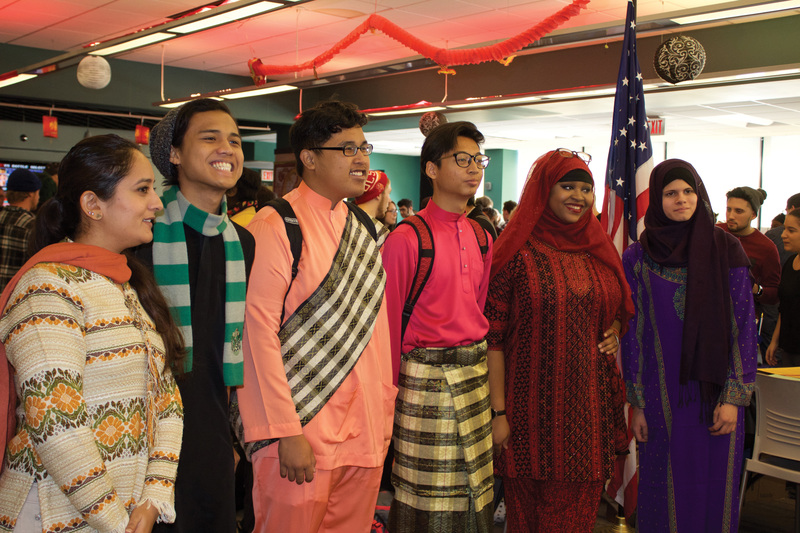 Representatives from the Muslim Student Association (MSA). 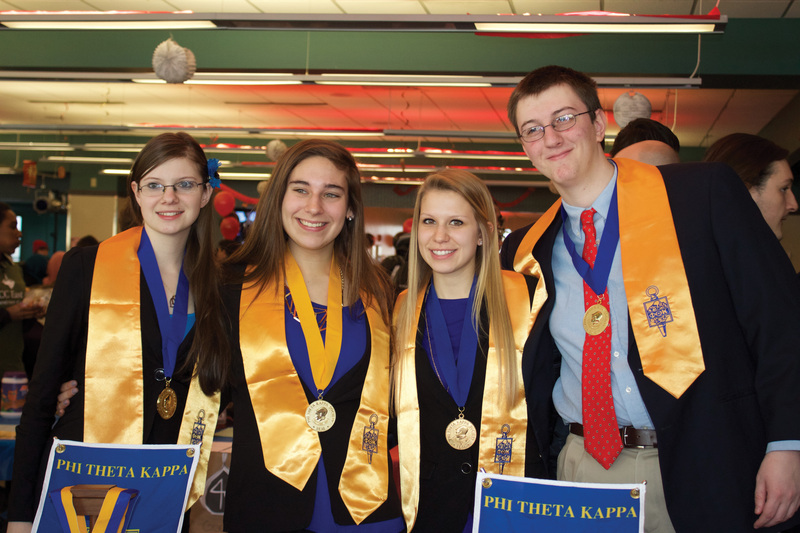 A merry band of bards! 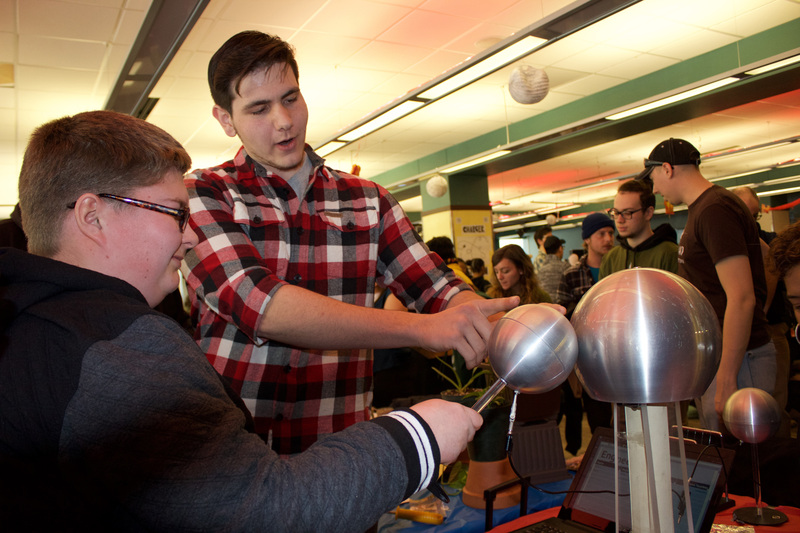 A demonstration from what we can only assume is the Aspiring Mad Scientists of America Club. 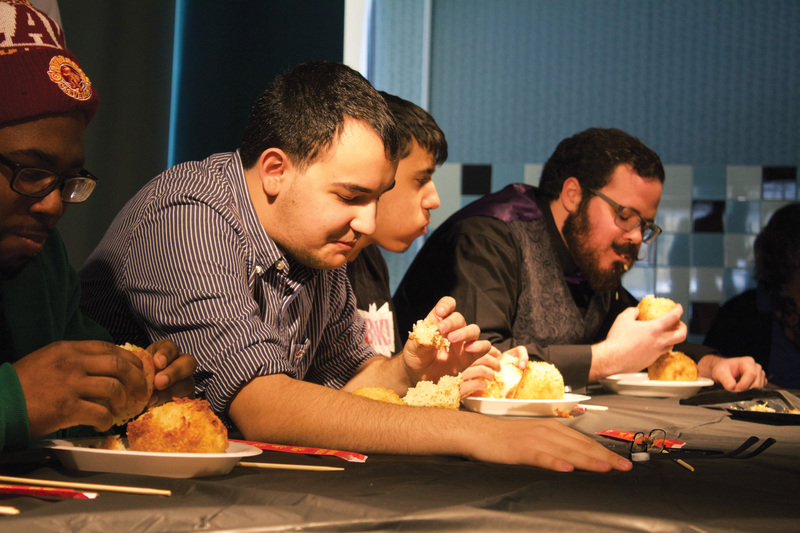 The rice ball eating competition. 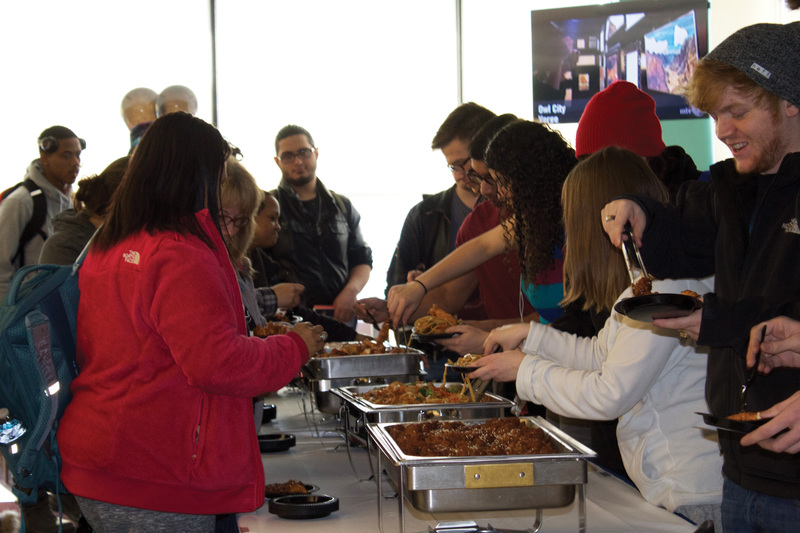 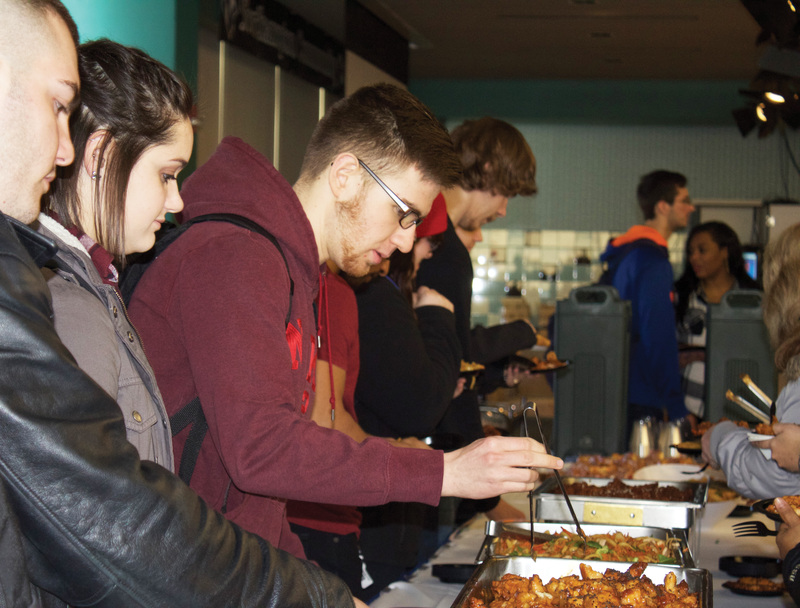 College students’ favorite aspect of any event: free food! 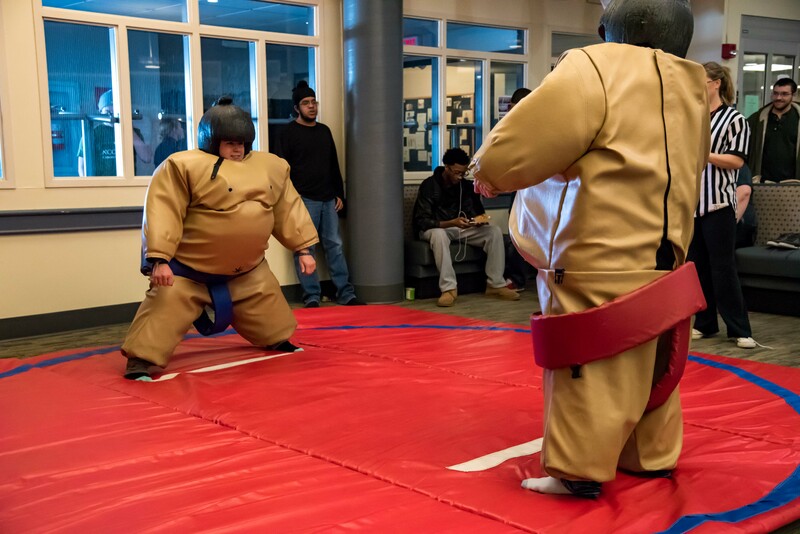 Concerned onlookers watch a sumo match.